The Target Project Plan (TPP) is an investment product specifically designed to enable people plan, invest and have the money needed to execute their projects. It works with a strategy mapped out according to customized details of each project. Target Investment Sum: This refers to the monetary sum that will accrue to the investor at the end of the duration of Target Project Plan. Purpose of Investment: This is the target you have set to achieve. It may be the purchase of a plot of land, the construction of a residential / office building, the purchase of a Car, a major business expansion, or education plan (without insurance). 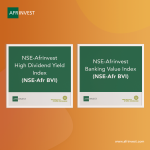 Note: if you need an education plan with insurance, kindly invest in our Afrinvest Education Plan. Duration of TPP: This is the duration of the investment before the investor liquidates the investment sum for project execution. Investment Frequency: This refers to how often the investor will contribute towards the investment. For instance Monthly, Quarterly, Biannually (Twice in a year) and annually. Periodic Investment Sum: This is the amount the investor is willing to invest per period. For instance N50,000 per month. Medium to Long Term Investment as the target investment sum can accrue over a number of years. Lock-in period of 3 months. Liquidity is assured after the lock-in period. Minimum investment sum of N50,000. 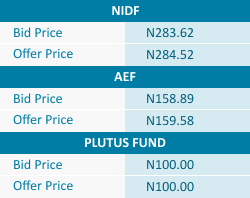 Subsequent minimum investment sum of N10,000. Addition to investment is encouraged. Withdrawal from investment is allowed after the lock-in period of 3 months. Withdrawal earlier will attract a charge of 20% on accumulated interest. Principal + Interest is paid back at the end of the duration of TPP. No Administrative Charge or Fees. Guaranteed Interest on Investment Capital. Flexible structure with variable investment tenor. The plan can be customized to suit each investor’s needs. 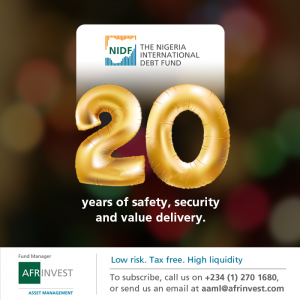 Interest Payment is backed thereby reducing investment risk. It helps to build a savings habit. Wealth of Experience: Investment in any of our investment packages entitles you to our wealth of experience as fund managers. 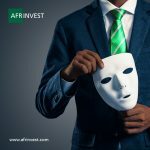 Professional Management: Afrinvest Asset Management Limited offers you research driven and professional management of fund assets through a defined strategy with clear and measurable benchmarks. Accomplishment of Desired Goals: TPP is geared towards ensuring that an investor accomplishes his desired goals. With TPP, adequate financial planning is guaranteed to every investor. Competitive Return: Interest Yield on TPP is competitive so as to meet target investment sum within the stipulated investment period. New investors, download the TPP subscription form from here.